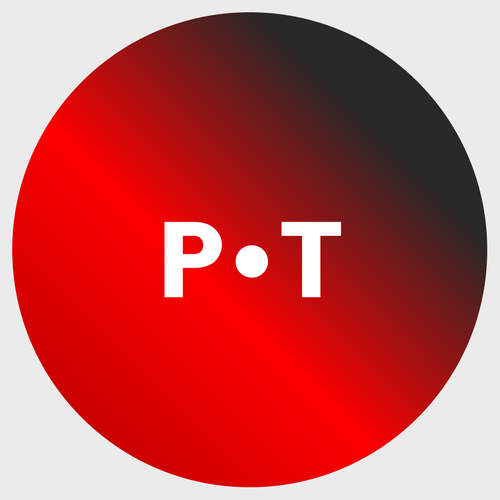 Not that anyone has been paying all that much attention, but it’s been a long time since I’ve posted anything here at Pop Theology. What can I say? Life intervened. On April 27, 2018, my dad died after a three year battle with cancer. We saw his death approach. I always thought I would’ve received a call from home telling me that he had died suddenly of a heart attack. To this point, his diagnosis has affected me more deeply (or in different ways) than his actual death, an event that has no end. That event has made creative projects like Pop Theology difficult to sustain. Most days, it’s all I can do to do the work I have to do and be a present family member and friend. I’ve enjoyed several great films, series, and books since my father died, but I haven’t had the energy to share my thoughts on them here. The death of someone so close to me has lead me to ask myself, repeatedly, “What does any of it matter anyway?” But then I watched a film at Sundance this week that triggered something in me. I don’t know how much more I’ll write about the festival, but I couldn’t not share some reflections on Blinded by the Light, one of the most joyous theatrical experiences I’ve had in a long time, and one that brought back memories of my dad. Blinded by the Light tells the story of Javed (Viveik Kalra), a sixteen-year-old Pakistani Muslim living in Luton in the heart of Thatcher’s England. He’s struggling to find both his voice as a writer and a girlfriend. His father, Malik (Kulvinder Ghir), loves his family as best he can, which often looks like relentless orders for the rest of them to pull their weight. It’s not an unreasonable request in such tough economic times, made even more difficult when Malik loses his job at the Vauxhall automobile plant after sixteen years of service. Malik has little time for Javed’s literary pursuits, arguing that he should pursue a more respectable (financially lucrative) career. Javed is not without support as his English lit teacher, Miss Clay (Hayley Atwell), sees great promise in him. He also connects with Roops (Aaron Phagura), a fellow Pakistani student, who introduces Javed to the music of Bruce Springsteen, which, quite literally, changes his life. Like Springsteen, Javed grows up in humble surroundings (Luton instead of Asbury Park) and sees economic injustice, racism, and other social ills threaten to tear apart his community. A budding songwriter for his best friend Matt’s (Dean-Charles Chapman) band, Javed doesn’t so much find his own voice in Springsteen’s music and lyrics, but gains faith and confidence in his voice and the value of his experiences. But this voice creates more tension with his father. On top of his disapproval of his son’s studies, Malik is deeply suspicious of this Springsteen fellow. He doesn’t understand what this American from New Jersey could possibly have to say to a Pakistani Muslim in Luton. 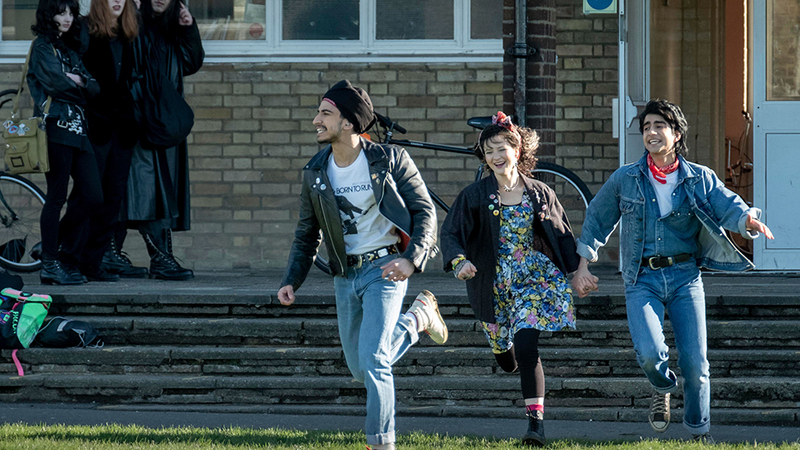 Written and directed by Gurinder Chadha, who gave us the global hit Bend It Like Beckham, and based on the book Greetings from Bury Park but Sarfraz Manzoor, Blinded by the Light is as timely and timeless a film as we could hope for…and people should be hoping for a film like this. In many ways, Thatcher’s England (high unemployment, surging nationalism, economic inequality, racism) parallels many political and social situations in countries around the world today. Only the fashions have changed, but, of course, they’ll likely make a comeback too. Chadha doesn’t ignore these harsh realities, gloss over them, or over dramatize them, but meets them head-on with unbridled joy, love, and optimism. Her film is a celebration of the power of music and its ability to bring people together and to inspire us to be our best selves. And it is laugh-out-loud funny in ways that had the Sundance audience cheering throughout the film. But it is also a film about family and the relationships between immigrant parents and their children and the tensions between honoring the past and embracing the future. Of course, this isn’t my story, but the struggle to better appreciate our parents and the ways they struggled to raise us as best they can is, to one degree or another, a universal experience. I don’t want to spoil more of the film, but this is where Blinded by the Light hit me the hardest. My father and I disagreed on many issues as adults, but this never tore us apart. Despite those differences, we bonded over a shared love of music, books, movies, food, and drink. My father’s obituary concluded with the statement that he “simply enjoyed having a good time.” I can think of no better description of him, and it’s one that I find increasingly true of myself as well (how can I make this a career path?). My dad (and mom) instilled a love of The Grateful Dead, Talking Heads, Steely Dan, and other artists that I have carried with me to this day, much to the chagrin of some of my friends, especially when I take control of playlists. I feel like I knew my father in significant ways, but when you lose a parent, you find yourself facing a chasm of ignorance. There is so much, I now realize, that I didn’t know, and I must reckon with the ways in which that ignorance prevented me from appreciating him as much as I could. Nevertheless, I have few regrets when it comes to our life together. It hurts that he died so relatively young, especially as my “career” has gained progress, and it could have been my turn to take him on trips or to concerts. During his last few lucid days, I reminded my dad of how much I loved him and how I knew, without a doubt, that I wouldn’t be where I am without him and, specifically, the freedom that he (and my mother) gave me to be who I wanted to be without forcing me into a life that he (or they) thought was better. And I like to think, in the end, because of that freedom, I ultimately became who he always hoped I would be. It’s rare that an hour goes by when I don’t think about my dad. I want to text him photos of the snow in Park City, a place he loved dearly, or update him on the film I’m trying to make. And right now, I’m really wishing that I could tell him about this perfect movie that I saw at Sundance called Blinded by the Light and how I can’t wait for us to watch it together.